THE guardians of a well-used sports training ground and public fields in Chipping Sodbury have warned dog owners to clean up their act. Chipping Sodbury Town Trust, which is responsible for maintaining and improving The Ridings recreational area, is urging dog walkers to pick up their animal’s excrement after a major increase of dog pooh. The charity’s trustees have been disgusted to hear from contractors, employed to strim pitches prior to St Nicholas Youth FC’s six-a-side tournament last weekend, who needed to be washed down with disinfectant on each of the three days they were working at the ground. Trust chairman David Shipp said: “It was absolutely terrible. “The football tournament was attended by probably well over 1,000 young people plus club officials and many family members. “Dog mess is a major problem on The Ridings and we are getting more and more irresponsible dog owners but we provide and empty our own dog bins and provide disposable bags at each of the three main entrances. The trust, which pays for the bags and to have the dog bins emptied, said many dog walkers were responsible and had joined a Green Dog Walkers scheme in which they encourage others to clean up after their pet. But Mr Shipp said: “Regrettably the irresponsible owners will be asked either to join the Green Dog Walkers or keep their dogs on a lead. “It is hoped that dog patrols will be introduced to approach these owners and ask for their support or risk action against them where a fine of up to £1,000 can be imposed. In addition, the recently-installed CCTV system will be used to identify and record users who continue to abuse this facility. The problems on The Ridings come weeks after the Gazette reported how a mix up over who thought they were responsible for emptying Chipping Sodbury’s dog bins in other public spaces had left the bins overflowing with excrement. 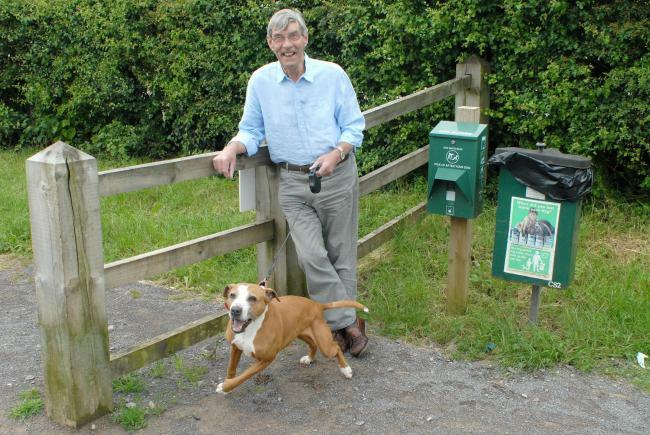 Sodbury Town Council has now taken over responsibility from South Gloucestershire Council for the town’s 13 bins but had been waiting for new dual dog and litter bins to come into stock before taking over emptying them.